In my perfect world, I would have my dream home and in it, I would have my white kitchen and I enjoy being in it as I love to cook! 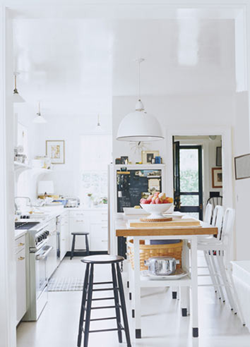 An all-white kitchen with stainless appliances and fixtures is my dream kitchen. I canâ€™t get chartreuse green out of my mind as an accent after seeing white kitchen model units with it. Of course, for now, I am stuck with our rented apartment and a makeshift kitchen we made. It actually is livable and hygienic for me, but if I were given a choice, I would replace the kitchen sink. It is placed too low that I need to bend forward to wash the dishes and the water faucet is so low that I need to maneuver to wash big pots. 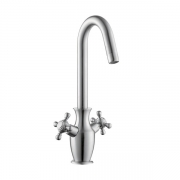 If I had the choice, I would have the standard two stainless steel kitchen sinks â€“ one for soaping and one for washing and I would order from MR direct. They offer same day shipping and their prices are lower compared to most retailers. Best of all, you can order online and feel secure because they are better business bureau accredited! A stainless steel kitchen sink is on top of my list if our landlady gives us the go signal to renovate (and have it deducted from our rent)! Even if I am not great at cooking, one of my dreams is to have a complete kitchen. I really donâ€™t want a state of the art kitchen, I just want a complete one that is cozy enough for our family to hang out in. When we get our own house, I will make sure that the kitchen is somewhere I can find a lot of time to hang out in (so maybe I can be motivated to cook!). Even if I apply for a payday loan to absorb the additional costs it can concur. I have not seen a house that I have visited that was as homey as the pictures above. 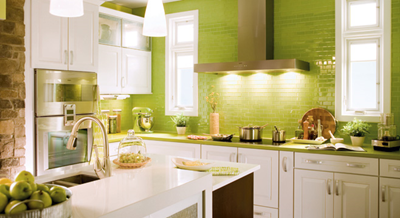 I want a kitchen that is a place of activity as well â€“ I plan to make my kitchen like that! 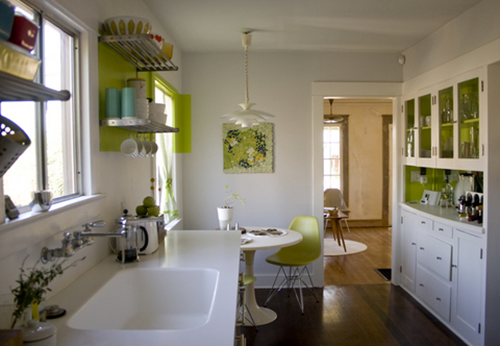 One of the most used areas in the house, aside from the bathroom, is the kitchen. I actually refer to it as the heart of the home, because it is where meals are cooked to keep the people in the house full and happy. So you would not surprised if I want a lovely, state-of-the-art but still very cozy kitchen. I personally would like a big kitchen, complete with a pantry area, kitchen countertops, breakfast nook and a cooking area with exhaust. I love the idea of my kids walking in the kitchen after school, looking for something to eat, or going straight there when waking up. In short, I dream of the idea that the first place they will look for when looking for me is the kitchen. (Of course, that is just a dream. If my kitchen has my laptop in there, chances are I would ALWAYS be in there). I am also toying about an all-white kitchen, accentuated with greeneries. White just screams immaculately clean to me. 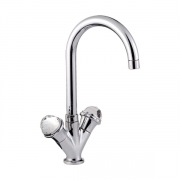 Kitchen Faucets need to be double-handled with chrome finishing (I am not that extravagant to dream of gold!) â€“ minimalist. It also needs to be high enough so I can wash my pots and pans without having to slouch my back (I am tall) and needs to be water-efficient. There are quite a few at FaucetsonSale.com that caught my eye â€“ and yes, they are on SALE!